The pursuit of oneâ€™s own treasure is the key to fulfilling his or her dreams and goals in life. Yet not everyoneâ€™s idea of treasure is the same. Finding Your Treasure will show you how to create the quality of life you desire and how to make living in the moment a discipline through an enduring expectation that something exciting will happen to you today and every day for the rest of your life! 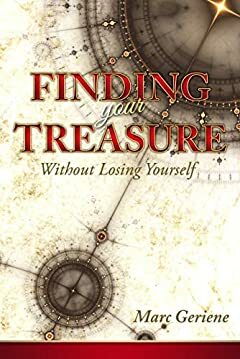 With Finding Your Treasure, Geriene shares many of his adventures and teaches you how to identify your treasureâ€”your principal pursuit and how to set a course for the adventures and treasures you seek with a proven 10-step plan and five daily exercises for success in any endeavor.